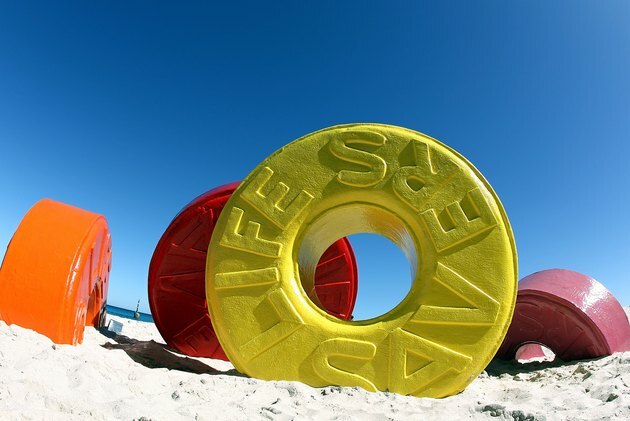 Life Savers candies are a great treat and have been around for almost a century. They were first created in 1912 by Clarence Crane in the original Pep-O-Mint flavor. The Wint-O-Green mint was created in 1918 and the more common 5-flavor pack was launched in 1935. Since then, Life Savers have introduced many new flavors, including Strawberry Apple, Sweet Mint, Tropicals, Butter Rum and Wild Berry. They have also introduced different products, such as the Life Savers Gummies, Sugar Free Hard Candy and Jelly Beans. The nutritional information varies in each product. Each Life Saver candy contains sugar, corn syrup, high fructose corn syrup, citric acid and artificial coloring. Each Life Saver in the 5-flavor pack contains around 11 calories, 3 g of carbohydrate, 0 g fat and 0 g protein. The original Pep-O-Mint Life Saver contains approximately 15 calories, 4 g of carbohydrate and no fat or protein. Most other flavors, including Wint-O-Green, Tropicals and Wild Berry, have the same caloric content as the Pep-O-Mint flavor. The Sugar Free Hard Candy is marketed for people watching their sugar or carbohydrate intake such as people with diabetes. Ingredients include isomalt, citric acid, sucralose, flavoring and coloring. Each 5-flavor Life Saver contains approximately 7 calories, 3 g of carbohydrate, 0 g fat and 0 g sugar. Most of the sweetener for the sugar free Life Saver comes from sugar alcohols, which do not provide calories or carbohydrate to the product. Each sugar free Butter Toffee flavor contains around 9 calories, 2.5 g of carbohydrate and no protein or fat. The other sugar-free flavors have around the same nutritional information. Life Savers Jelly Beans come in the assorted variety. Nutrition information is not based on specific flavors. Each jelly bean contains sugar, corn syrup, cornstarch, modified cornstarch, water, flavoring, citric acid and coloring. One serving, or 40 g, contains around 150 calories, 37 g of carbohydrate, 0 g protein and 0 g fat. Life Saver Gummies are another product that comes in many different flavors. Each flavor contains approximately the same nutritional information. One serving, or 42 g contains around 130 calories, 30 g carbohydrate, 2 g protein, and 0 g fat. The protein comes from gelatin, an ingredient needed for the "gummy-ness" of the product. Other ingredients include corn syrup, sugar, water, modified potato starch, citric acid, flavoring and coloring. Fruit Tarts are smaller candies that come in orange and purple. They contain sorbitol, citric acid, malic acid, maltodextrin, tartaric acid, aspartame, mannitol and other flavoring and coloring ingredients. Each tart has less than 5 calories and less than 1 g of carbohydrate. There is no protein or fat in Fruit Tarts. How Many Calories Are in Lifesaver Candies?